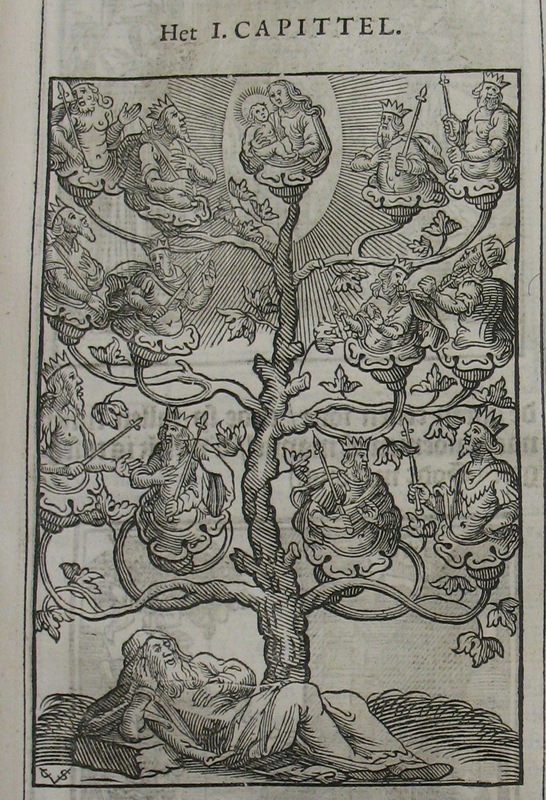 “Tree of Life” Dutch woodcut print dated 1646 by Christoffel van Sichem. Note the monogram “CvS” in the lower left corner. Noted art historian Dr. Sylvie Merian of The Morgan Library in New York will speak at the Zohrab Center on Wednesday, April 9 at 7PM on the topic, Dutch Woodcut Art in the Earliest Armenian Printed Books: A Book Detective Unravels the Mysteries. 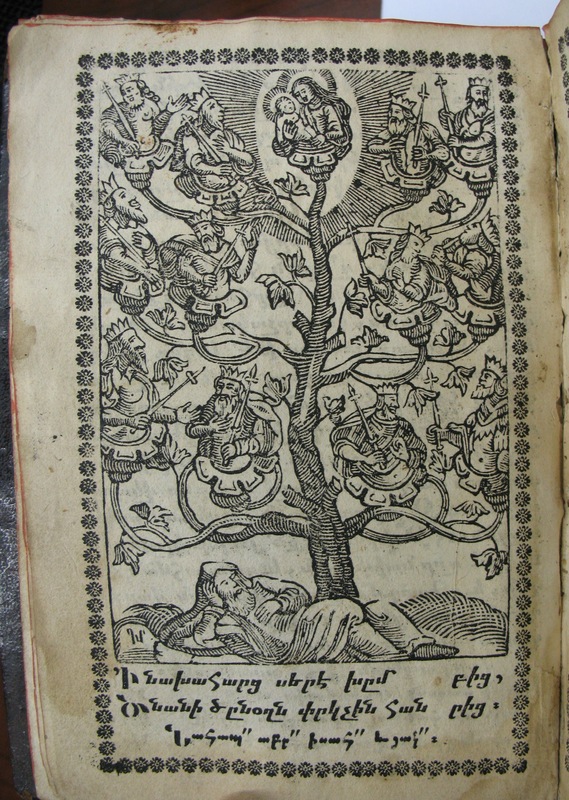 Dr. Merian has been researching early Armenian books printed in Constantinople in the Zohrab Information Center’s rich rare book collection, especially focusing on woodcut illustrations in religious books produced by Armenian artists. (Click here for a recent exposé of her research on this blog). Many of the compositions for these illustrations were modeled after western European prints that found their way to Ottoman Turkey and Savafid Iran during the 17-18th centuries in richly-illustrated books printed in Armenian, Latin, and other European languages. Through countless hours of what she calls “book-looking,” Merian has identified many of the exact prints used by Armenian artists as models. Many of these were Dutch woodcuts. The illustrations provided inspiration not only for Armenian woodcut artists, but also for Armenian silversmiths (who used them as imagery for silver plaques used on religious books), manuscript artists, and even painters of wall paintings in churches of New Julfa, an Armenian suburb of Isfahan, Iran. New Christian iconography and decorative motifs were thereby disseminated in various media throughout the region, and a number of examples have been found in the Zohrab Center’s remarkable early book collection. Dr. Merian will show numerous examples from the orginal European illustrations, the adapted versions by Armenian artists, and their later adoption for use in non-book media. The presentation will take place at the Armenian Diocese, 630 Second Avenue, New York, NY. A discussion and reception will follow. For further information contact the Zohrab Center at zohrabcenter@armeniandiocese.org or (212) 686-0710.